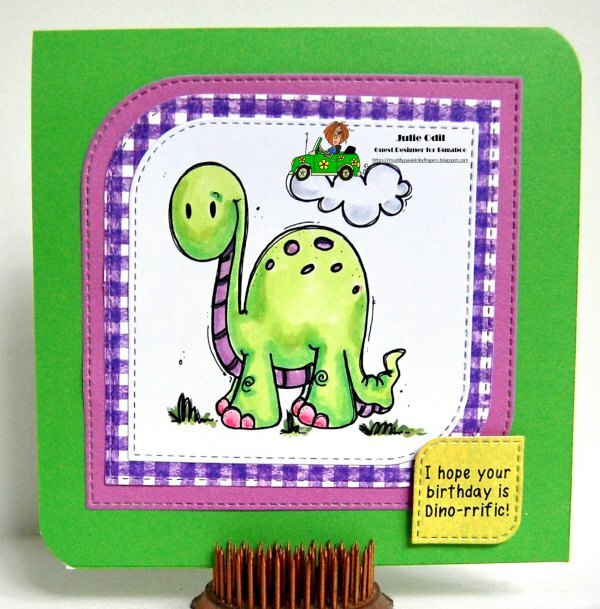 Muddy Paws & Inky Fingers: Hope your birthday is Dino-rrific! a Friday Freebie from Bugaboo! Hope your birthday is Dino-rrific! a Friday Freebie from Bugaboo! It's Friday, and that in itself is dino-rrific! It's Friday Freebie at Bugaboo Stamps which notches the day up a level. Add in that today's freebie is super cute, and you've got one wonderful Friday on your hands! I colored this super cute dinosaur with Copic markers, making him both lime green and violet because, well, I think dinosaurs probably were, right?!? Who really knows? 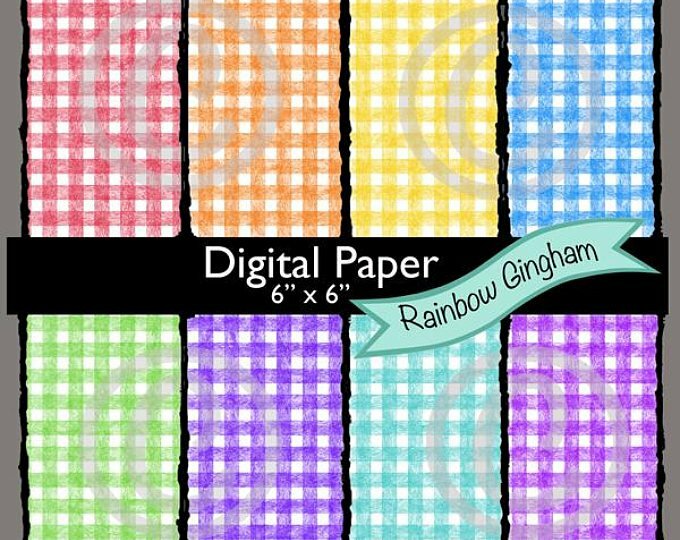 Then, I added a fun gingham paper from We Are 3 Digital Shop, paired it with my own sentiment, and voila! My fun birthday card is complete. Oh, and I think dinosaurs just might have painted their toenails pink, too. Again, who really knows? Revlon should study this, perhaps! Check out the awesome Catch the Bug blog for great inspiration on today's freebie, challenges, Oldies but Goodies, and more ideas than you can imagine! There's also the Bugaboo Stamps Fan Club Facebook Group to check out for more fun, inspiration and news. Love the green and purple - live Barney...that brings back memories, hehe. Perfect sentiment. Love the dies you used for this! The stitched detail is fun and these colors are so great together. Thank you for joining us at Crafty Sentiments Designs for our Animals challenge.